Test the hardness and bending strength of your pet foods. Texture analyzers are routinely used for determining the hardness and consistency of various pet food products. 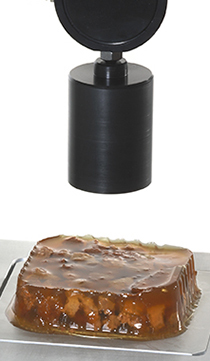 Biscuit hardness, canned food consistency and bending strength are just a few of the test types you can perform when combining the TA1 texture analyzer with our grips and fixtures for pet food testing.